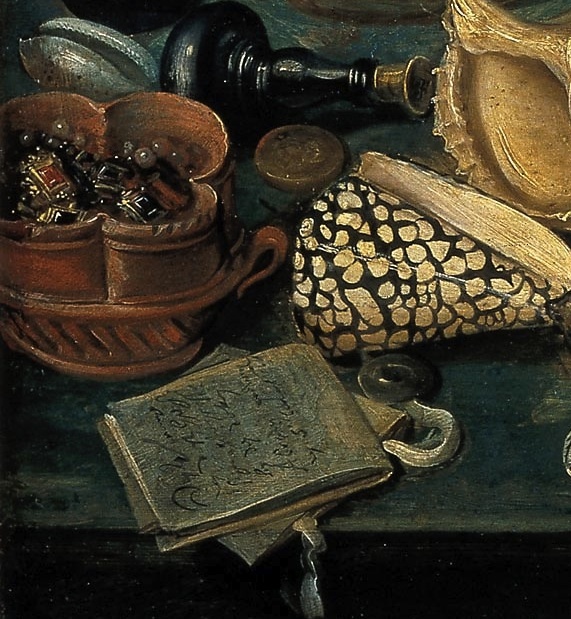 Early modern Europeans envisioned their own bodies as miniature worlds which echoed God's Creation in every detail. And in the expansionist, acquisitive and globalizing era of the seventeenth century, the wonders of Creation frequently became conflated with the treasures of the tropical world that Europeans were busy exploiting. The physician and mystic philosopher (and favorite author of Virginia Woolf) Sir Thomas Browne opined that we all carry the "prodigies" of Africa within ourselves, while the poet John Donne famously wrote that "both th' Indias of spice and mine...lie here with me." 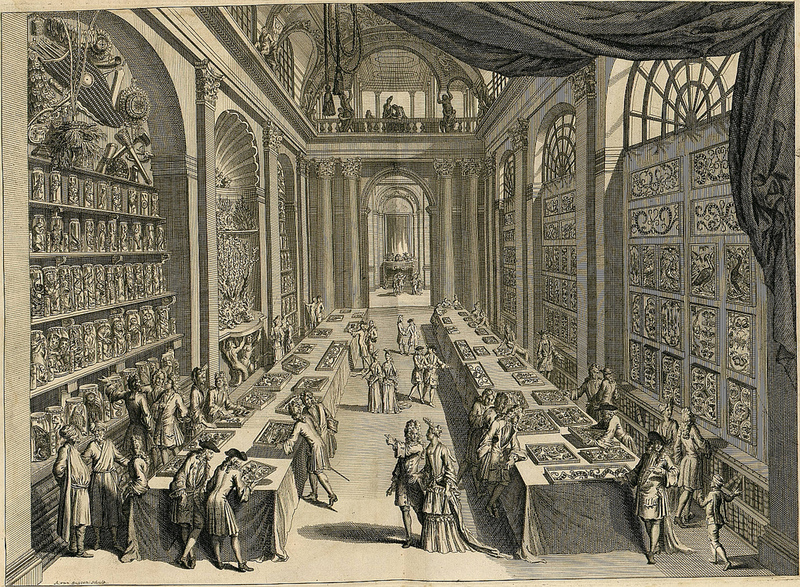 The early modern curiosity cabinet (often called Kunstkammer or Wunderkammer, "Wonder-rooms") stood at the intersection of this dual preoccupation with microcosms and the treasures of Africa and "the Indies." A great deal has been written on cabinets of curiosities and wunderkammeren (here are some Kunstkammer whose contents have been digitized and here's a good essay on the subject by a curator at the Met; see the end of the post for some book recommendations), so I'm not going to elaborate too much on their history here. 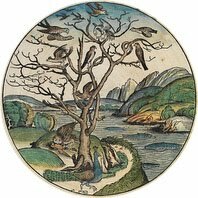 Instead, here are some beautiful paintings and engravings of curiosity cabinets, most from Wikimedia Commons. The Danish naturalist Ole Worm's cabinet of curiosities was a famous early wunderkammer containing many creatures and shells drawn from Arctic waters. 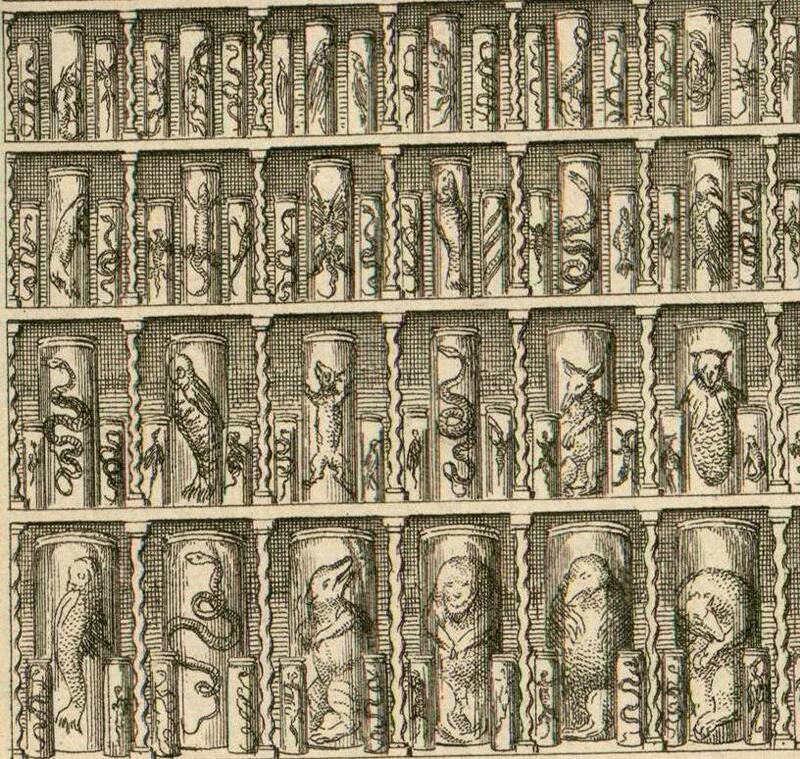 This is the frontispiece to Worm's 1655 Museum Wormianium. 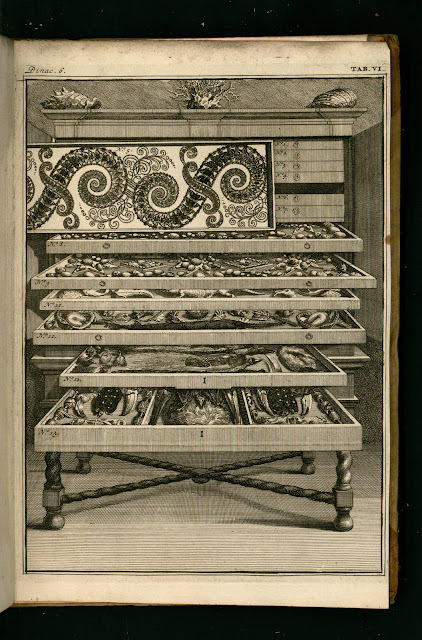 This engraving from Vincent Levinus's 1715 Wondertooneel der Nature almost seems to function as a companion piece to Worm's cabinet - as if one of his drawers of marine specimen had been pulled upon and meticulously recorded. 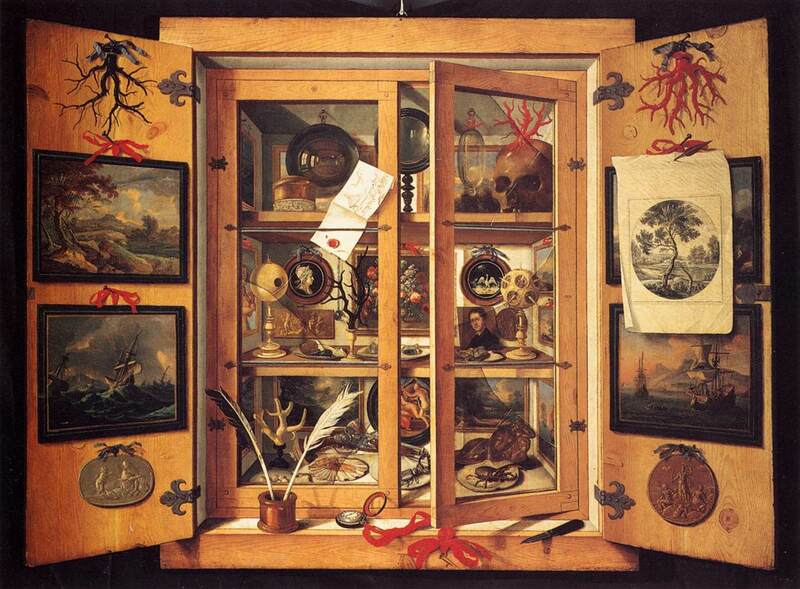 Domenico Remps, A Cabinet of Curiosity, 1690s. 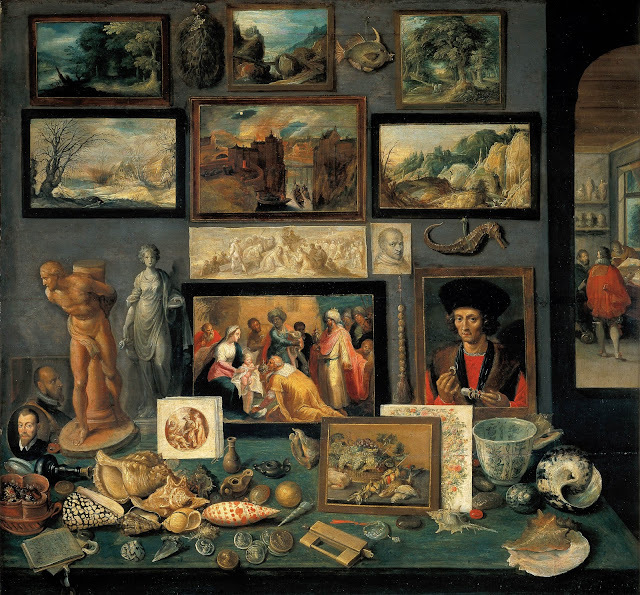 Note the paintings of Dutch shipping vessels - the mechanism by which most of these eclectic objects reached the Flemish-Italian painter's studio. Kunstkammer, a similar but somewhat older work by the Flemish artist Frans Francken II, 1636. A panoramic view of a vast Dutch hall of curiosities (fanciful, I assume), again from Levinus Vincent, 1715. 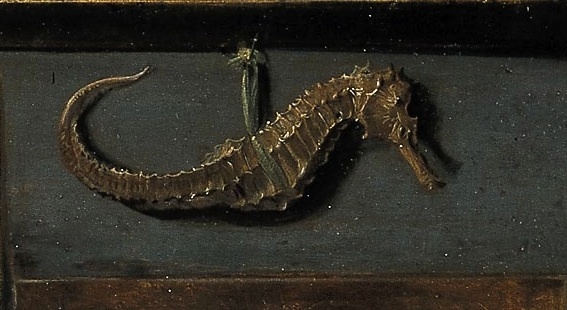 A seahorse from Francken's painting. 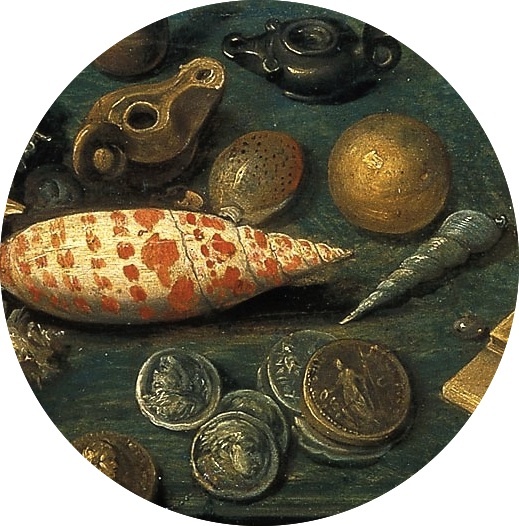 Shells, precious gems, a perfume or medicine bottle and a notebook - all of which would not have been out of place in the treasurebox of an East India merchant. Again from Francken. A mean-looking tropical fish lurks above. 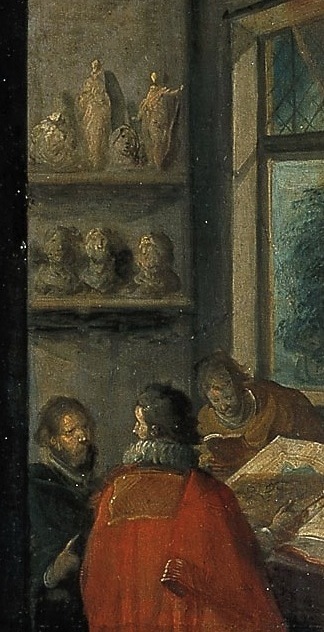 And in the far background, some virtuosi inspect printed reference works. 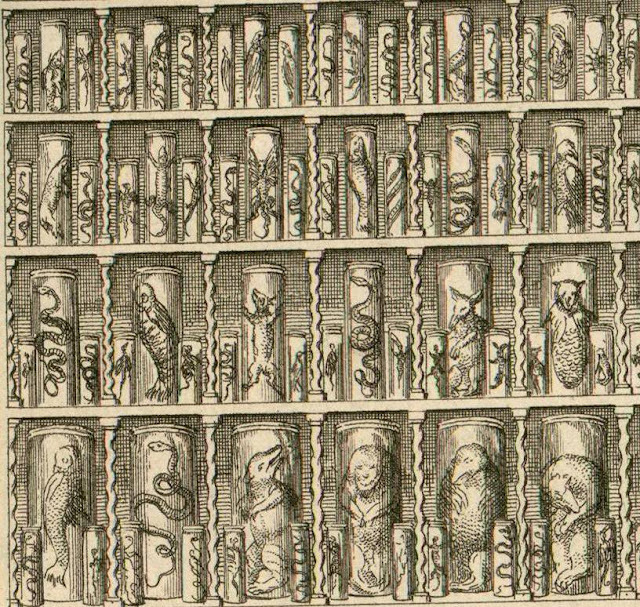 A macabre detail of preserved animals (embryos?) 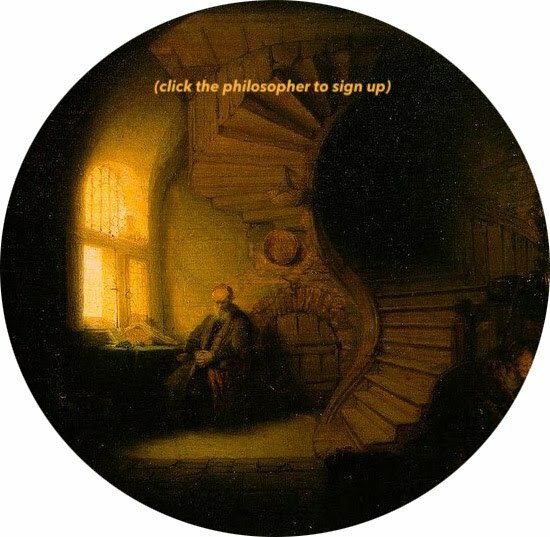 from Levinus Vincent. A 2008 BibliOddysey post on Levinus Vincent's amazing illustrations of curiosity cabinets contains some more images and some good details on Dutch collecting. 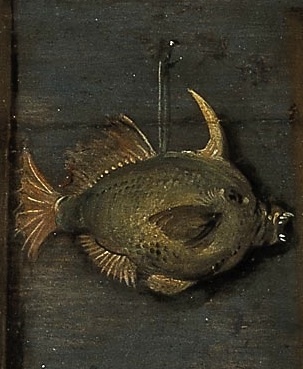 Another very interesting site I came across is the King's Kunstkammer, a virtual exhibit of the Danish Royal Kunstkammer from 1674. 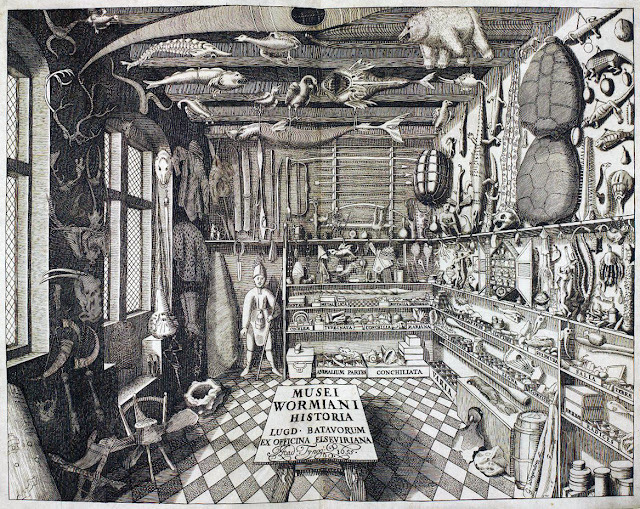 Finally, for those interested in scholarly treatments, I can recommend Paula Findlen's Possessing Nature: Museums, Collecting, and Scientific Culture in Early Modern Italy. Lorraine Daston's Wonders and the Order of Nature , the edited volume Making Knowledge in Early Modern Europe by Benjamin Schmidt and Pamela H. Smith and the works of Anthony Grafton are also great guides to the cultures of collecting and curiosity in pre-modern times. nb "(here is a guide to online content.."---> borked link. Lovely blog, sharing fabulous art of the past. I will be visiting often. This is a great post - really helped me come up with some ideas for my blog content, on the history of museum curation. Many thanks!